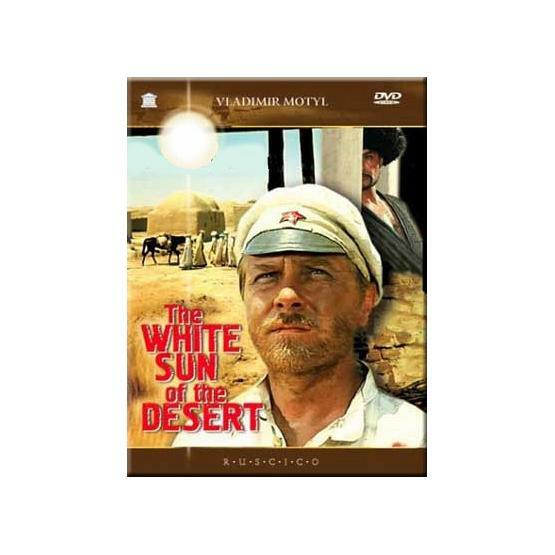 "The White Sun of the Desert" (1970) is a story about a demobilized Red Army soldier who finds himself protecting the harem of the local guerrilla leader from the latter. Directed by Vladimir Motyl. Starring Anatoli Kuznetsov, Pavel Luspekayev and Spartak Mishulin. TV system: NTSC. Aspect ratio: 4:3. Sound format: Dolby Digital 5.1. Languages: Russian, English, French, Arabic. Subtitles: Russian, English, French, German, Spanish, Portuguese, Italian, Dutch, Serbian, Arabic, Hebrew, Chinese, Japanese.